Halloween might just be every kid’s favorite holiday. Even if they’re not interested at all in the scary side of things, there’s still an incredible amount of fun to be had. Luckily, the Bay Area hosts a number of events to get kids and adults alike into the Halloween spirit. With October just around the bend, Bay Area parents are on the prowl for the most kid-friendly Halloween events nearby. From pumpkins to goblins to fairies and everything in between, these are our top five picks for events that your kids (and the entire family) are sure to enjoy during the 2017 Halloween season. Sunday, October 29, 2017 2pm-5pm. This free annual event brings new and old friends alike to celebrate Halloween beneath the redwoods in the Santa Cruz Mountains. Kennolyn’s extravaganza includes free pumpkin and cookie decorating, trick-or-treating beginning at 4:30 pm, free family photo, and a host of other spooky and sweet entertainments to delight the entire family. If you’re currently looking for local Bay Area summer camps for your children, this is also the perfect chance for you to visit us! Also includes a free magic show with the Surfing Magician at 3:30pm. Give the Kennolyn office a call at 831-479-6714 or check out our flyer for more information about this exciting event. Hosted in San Jose’s Guadalupe River Park, this zero-waste fall festival is a perfect find for parents looking to add a little education to their kids’ Halloween celebration. The event is full of Halloween fun, all structured around environmental awareness. Younger kids will be entertained with a pumpkin patch, kids’ concert, and a costume parade, while older revelers enjoy fresh apple cider, raffle drawings, and carnival games. Visit GRPG’s website for more information about this event. This Halloween spooktacular at the Bay Area Discovery Museum will indulge your kids’ yearning for eerie learning. Themed “Witches and Wizards,” this event includes plenty of spooky activities and performances (including a slime room, potion laboratory, wand design, glow in the dark trains, and hay mazes). It’s also a great opportunity to explore one of the best child discovery museums in the area! Visit the museum’s website to learn more about this event. If your kids have never explored this storybook-themed park in Oakland, now is definitely the time to introduce them to the magic. Entry to the park during this fall festival includes unlimited rides, kid-friendly theatrical performances, arts and crafts, and more.This event is definitely “more delightful than frightful”—a perfect choice for our younger friends. Click here to learn more about this storybook-centered Halloween extravaganza. Bring the whole family to experience the fall splendor at one of the oldest working farms in Silicon Valley. A petting zoo with goats, chickens, sheep, and more will delight your younger children. Older kids will enjoy touring the haunted barns and dark forest, and other Halloween-themed activities and crafts are bound to entertain those who may be less spooky-minded. Visit Deer Hollow Farm’s website for more details. Whether you pick one of these spooky events to visit this year or you choose to party-hop to all five, these are Halloween celebrations your family will not want to miss. The Bay Area truly holds something for everyone—even when it comes to planning Halloween parties. Dressing up as their favorite superhero, mythical creature, or even snack (as in the case of my two-year-old niece, who this year insists on being a smoothie for Halloween!) instantly turns the everyday world into an adventure zone. 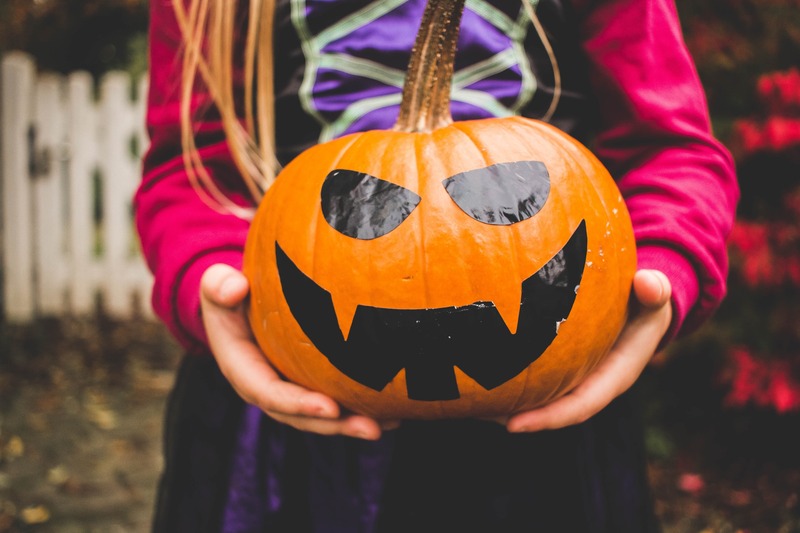 Whether your kids love spooky thrills or are more interested in meeting farm animals and decorating pumpkins, this list delivers the perfect mix of events to suit every fall desire. Looking for more information about the summer camp programs that we offer here at Kennolyn? We would be happy to fill you in on all the fun that goes on year-round, as well as how you can get involved. Give us a call today.